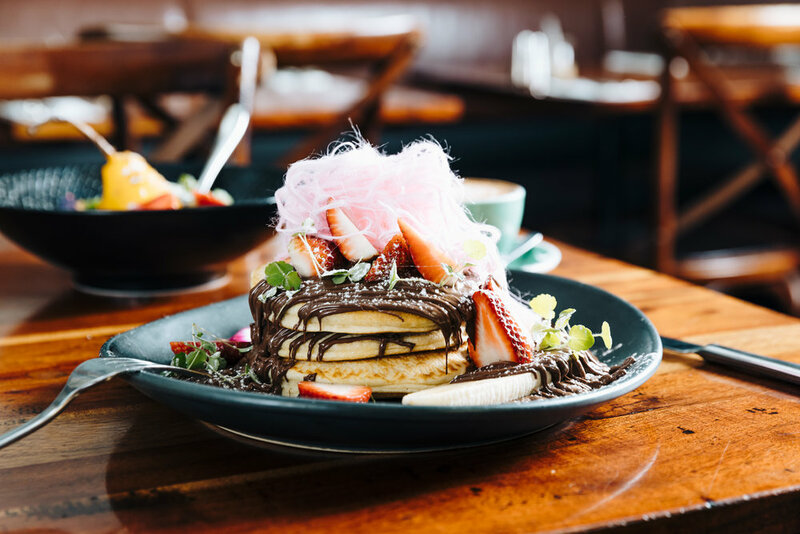 Fresh spring flavours and European-inspired cooking come together at Piatella Café Bar, a popular icon on the bustling Kingsway precinct in Glen Waverley. Since opening in 2012, Piatella has been drawing foodies in with its dynamic Euro-centric menu and warm familial hospitality. Owned and operated by a Greek Australian family, Piatella draws its inspiration from a range of cuisines from across Europe. There is, however, a soft spot for French desserts. Although Piatella rhymes with the much-loved hazelnut chocolate spread, the word also happens to be the Greek word for ‘platter’. ‘We are a food-loving Greek Australian family. The name Piatella reflects our passion for food, not just in the generous portion sizes but also the flavours we infuse in each of our dishes’ says Bill. Here, diners are treated to modern Australian dishes with European twists, all of which are made in-house. For breakfast, the Piatella’s version of a big breakfast features rations of Kessler bacon while the baked eggs are given a Spanish twist as it’s served with chorizo, in a sizzling paella pan. Piatella’s extensive grazing menu invites diners to snack on plates of bruschetta, lemon pepper calamari and traditional pan-fried saganaki, a nod to the owners’ Greek heritage. Meanwhile, lunch and dinner options are aplenty, from a comprehensive pasta menu featuring all the classics to crowd favourites such as the signature Piatella chicken parmigiana, topped with Italian prosciutto to the American-style Reuben sandwich filled with generous slices of slow-roasted BBQ beef brisket. With the introduction of a custom made Manhorne BBQ Smoker, hickory and apple smoked products are proving very popular. The dessert page, however, is arguably the most popular section in the Piatella menu. Diners choose between waffles and crepes, before selecting their preferred topping. According to Aspa, the Piatella Special of fresh strawberries, banana and Nutella is a crowd favourite. Drawing inspiration from New York loft-style architecture, the venue itself is both sophisticated and inviting. Soft timber frames and a rustic exposed brick bar provide a striking contrast against clean white walls, while Edison lamps dangle throughout the space. Perfect for gatherings and celebrations throughout the week, Piatella’s relaxed vibe is suitable for families, large groups and corporates.